(Phys.org)—A team of researchers with members from China, the U.S., Austria and Singapore has used their analysis of stalagmites in a cave deep in central China to map over 640,000 years of monsoons in Asia. 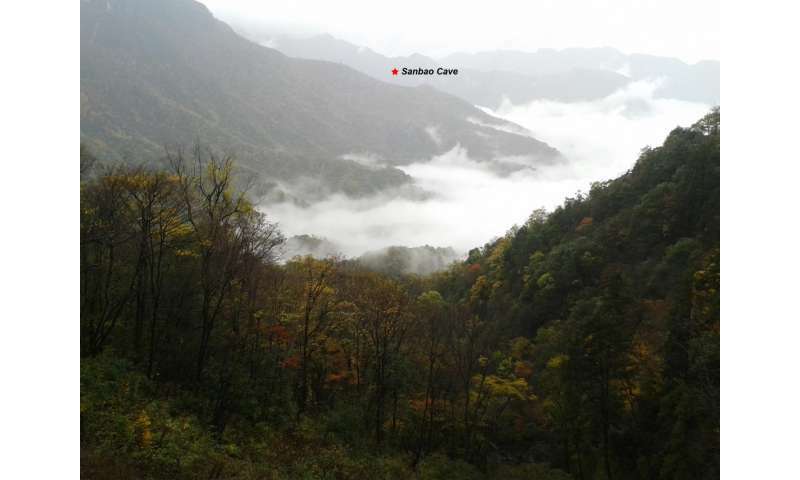 In their paper published in the journal Nature, the team describes their analysis of the cave formations, what they found and how they were able to use what they learned to better understand other world events over the same time period. Nele Meckler with University of Bergen in Norway provides a more in-depth description of the work done by the team in a News & Views article in the same journal issue. The annual monsoon season in Asia is a major event, bringing rains that are used to grow crops for an enormous number of people. Because of its importance, scientists would like to know more about it, such as what might happen as the planet heats up. To learn more, the researchers looked for a way to look back at what has happened in the past, and to do that, they ventured to the mountains in central China and descended into Sanbao Cave—there stalagmites have been growing up from the cave floor for hundreds of thousands of years, carrying with them, a history of the factors that led to their growth. 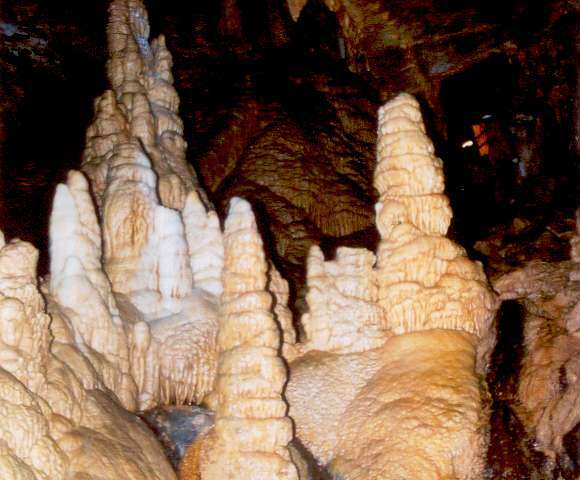 The stalagmites grow at different rates depending on how much rain falls and leaks through the mountain above and down into the cave—during heavy rains, such as occur during monsoon seasons, layers of calcium carbonate build up, holding information about the air and rainwater at a particular point in time, which scientists can analyze to gain a good measurement of climate conditions. They can also look for dissolved uranium, which can be used to date the layers of stalagmite buildup. Together, the two sources of information can be used to create a climate timetable for past monsoon seasons, going back as far as 640,000 years—the most detailed and accurate monsoon record to date. In so doing, the researchers were also able to show that changes in solar radiation over the Northern Hemisphere were due to the planet's precession cycle (a shift that occurs periodically in the planet's axis of rotation)—which wound up bringing an end to the past seven ice ages.